Can More Than One Person Do The Bonder On A Horse? Yes. Horses can have a number of different relationships just like people can have a number of different relationships. A group of people can individually perform the bonder / herd dynamics procedure with the same horse. Not only will the horse be shown who is higher than he is on the pecking order, he will be able to tell which of the group is the actual leader of the group. You and your husband, and any children you might have, can perform the bonder / herd dynamics procedure with the horse. 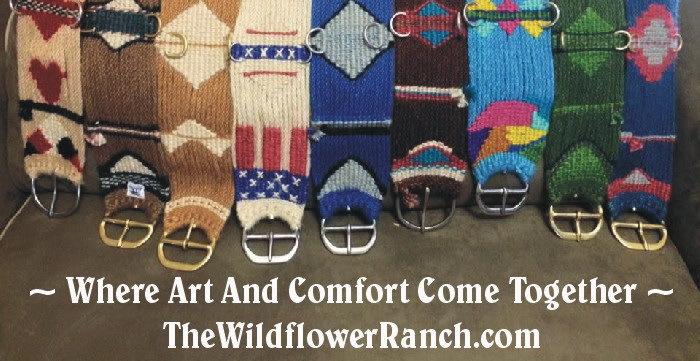 This will show the horse that it lies below each person who performs the bonder. There is a pecking in order in families as well. One member will be the leader. When the family is together with the horse the horse will know who is the actual leader and will respond accordingly. I demonstrate this at events by taking the horse away from its handler by simply mentally telling the horse to follow me and it does. Since I am the ultimate leader at the events, the horse picks up on it and acknowledges it. I know that I am the ultimate leader at my events because if anyone gives me any grief I head on down the road and the event stops in its tracks. This gives me more confidence than anyone else at the event has and the horse grasps it immediately. Once the owner puts their horse through the herd dynamics procedure at a clinic they get the little blue light look and they wander around with the horse following along. When they go by me I tell the horse to stop and it does and the owner keeps right on walking. I ask them where their horse is and they look where they think the horse is and it takes them a moment to realize the horse is by me. 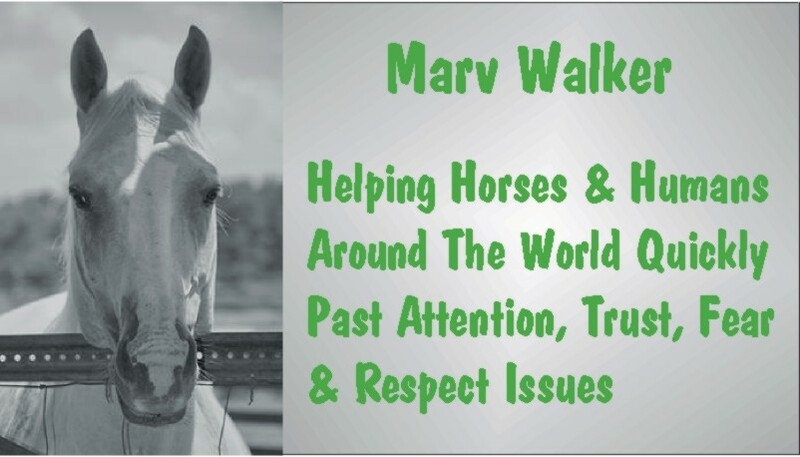 At the therapeutic riding center I used to volunteer at led horses would regularly stop by me and people would comment, "All the horses love Marv." They recognized my herd leadership. Take him in the enclosure and perform the bonder. When you have him connected, do what you want. If he objects by leaving connect him again, then resume what you were doing before he left. Touch what it will let you touch and use that as your starting and ending point. I'd touch its nose for a few moments then casually expand the touching area then come back to the tolerated area before he realized I had touched where he didn't tolerate it. By then, it'd be too late to respond. If I wasn't pleased at its willingness to comply I might send it out for a few re-enforcing laps around the enclosure. Picture the results you want in your mind. I cannot stress the importance of your thought processes enough: If you believe it you will see it.